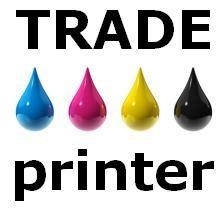 If you’ve heard the phrase ‘trade printing’, and aren’t quite sure what it is; we’ve got answers for you. Trade printing is the name of a specific business model adopted by companies which engage in the physical production of printed products. They offer their production services directly to those involved in other aspects of the industry, and related industries. Many of their clients are print brokers, freelance artists or graphic designers, advertising or marketing agencies, or even other print shops. They focus on attracting their clients through offering wholesale prices which can be significantly lower than other businesses are able to offer. The way they are able to achieve such low pricing levels is because their business has basically decided to completely forego certain aspects and functions that other businesses engage in. For example, they may not have a customer service department, or even a sales force. Being so specialized in the physical production of the goods, and little else, lets them keep trade printing prices low, and secures their share of the market. Trade printing operations can be great ways to cut costs and save money for those in the industry, so if you have significant printing expense, look into some trade printing vendors.